Welcome to The Speech House, an unmissable historic building that has been a part of the Forest of Dean’s scenery since 1669. Set in the centre of the Forest, this historic house is surrounded by one of the only surviving ancient woodlands in England. Whether you’re visiting this beautiful location for a weekend break or to explore one of the many walking routes, The Speech House is a stop you have to make. 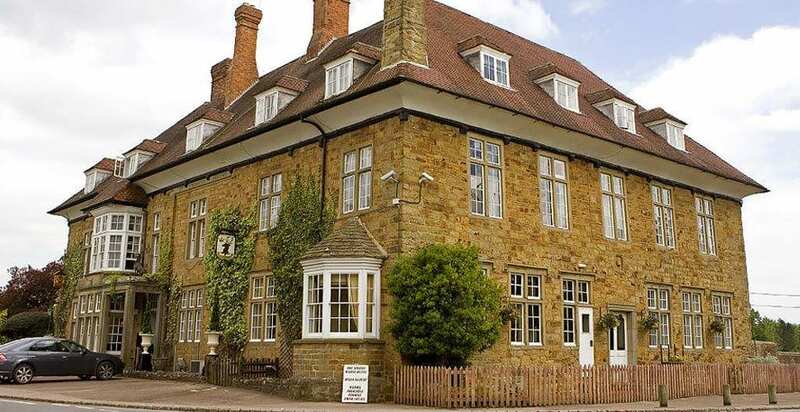 Why not pop in for afternoon tea in the Orangery or even stay a night to really get an understanding of the importance this wonderful establishment still holds in the local area. We’re happy to show you around and give you an insight into the historic elements of the building, there are many original items still avalible to view. Verderers Court is the most historic room in The Speech House where judgements took place over 300 years ago. The Verderers Court is now Verderers, our fine dining restaurant. Many original features of this room still exist and even sit in the same position they have for many years including the original raised gallery. 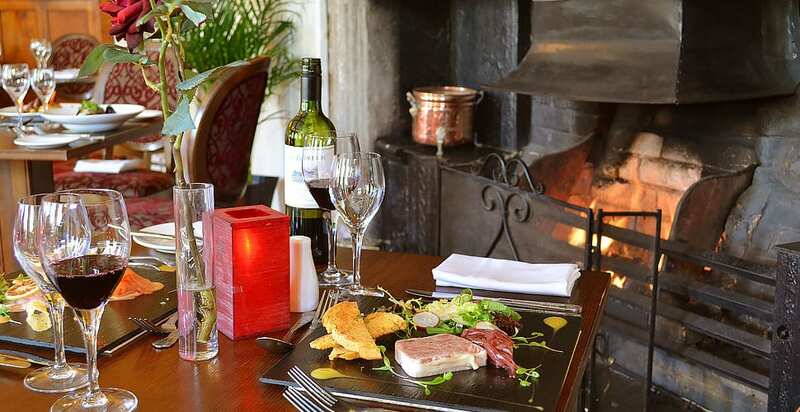 Book at table at Verderers during your time in the Forest of Dean and taste the history for yourself. 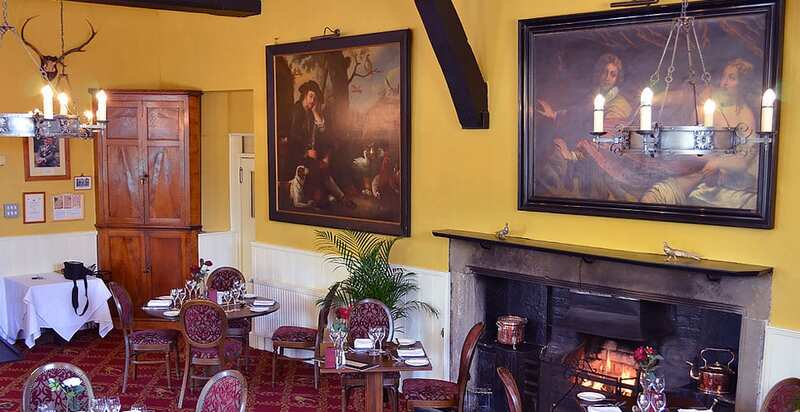 The Speech House was originally built as a hunting lodge for King Charles II in 1669. It was here that Verderers court, for the protection of vert and venison was held. The first recorded use of the new Court was in 1676 when there was a swanimote held before two Verderers. In the days preceding the passing of offences to the magistrates courts, The Verderers had powers to deal with misdemeanours in the Forest. They could even sentence people to hanging on the gibbet located outside the building. In addition they could order the transportation of offenders and floggings, the whipping beam still exists in one of our bedrooms. In 1688 there was a riot protesting against the events that happened in The Speech House. The riot caused serious damage to the Speech House costing £219 & 10 Shillings, today this would be nearly £20,000! From 1858 The Speech House was let by the Crown as an Inn, however the courtroom was still being reserved for Verderers when required. Some extensive work was made to The Speech House between the years of 1881 and 1883. The front west of the building remains completely original, however the east of the north wall now dates from 1883. The original stones of the demolished sides were preserved and used in the front end of the hotel. From 1914 the local Magistrates Court began to deal with any offences concerning venison. However, if caught attempting to escape with the Forest’s Royal Deer, the Verderers were still able to sentence the offender to hanging. Here the appointment as a Verderer is for life until the individual is unable to carry out his duties. However the Court sits on average only 4 times a year when matters concerning the Forest are discussed. The Verderers receive no payment but are by statute entitled to a Doe and a Buck a year from The Forest, a bundle of wood and a bag of coal. However, no one on record has claimed this right to date. The original open fireplace remains as it always has been in the Court Room, although now gas fuelled. There are nineteen pairs of antlers that decorate the walls as they have for centuries. 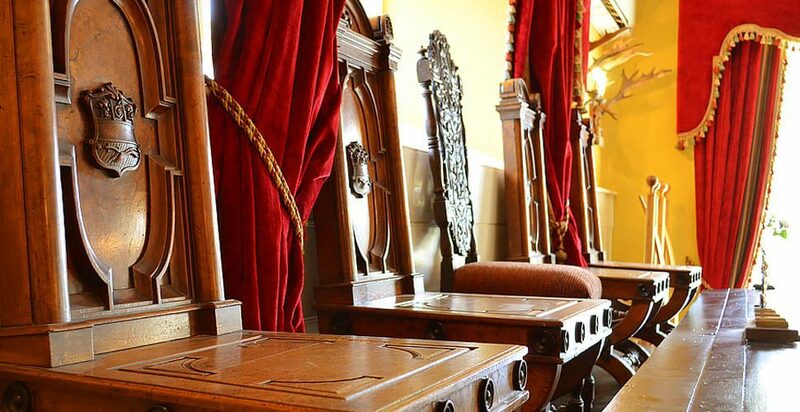 These chairs were donated by the Crawshay family to the Verderers and date back to 1820. 18 years ago they were stolen from this room and went on a journey around Spain, Portugal ending up a few years later, in an auction house in London. 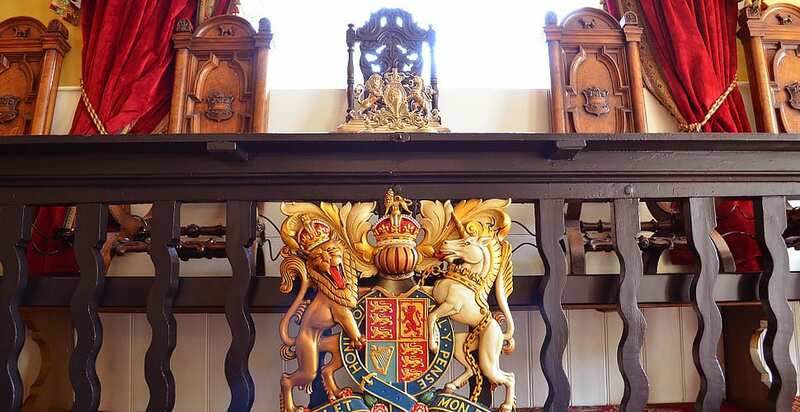 The auctioneer seeing the quality of the chairs checked with the police stolen arts squad and subsequently, two Verderers went to London, identified them and they were recently returned to their rightful home in our very own Verderers Court room. These paintings are dated and registered in numerous directories as being circa 1690 – 1710. ‘The Bed Chamber’ by Italian artist Bernedetto and ‘Hunter at Rest’ by an unknown artist. The artworks are believed to have a Dutch / Flemish influence. The Verderers Brass Plaque of the Royal Coat of Arm and the card advertising the Courts proceedings are located in the Court Room. 57 years ago we were honoured to be asked to host HRH Earl & Countess of Wessex for lunch. During their visit and they went on to plant two oak trees across the road at the front of the Speech House and unveil a plaque on the Obelisk which had been refurbished for their visit. The spades used by HRH Queen Elizabeth and HRH Prince Phillip in April 1957 when they planted the two oak trees across the road on the western side of the building. These days the Verderers work closely with the Forestry Commission and Local authorities. They comment on planning applications whether to do with gravel extraction or building applications within the forest. They liaise over the various tree diseases that are affecting the Ash, Larch, Oak and Chestnut. They also discuss the issues of the Wild Boar believed now to be in excess of 1500, and the damage they are doing to the local environment. Generally their business is anything that has or could have a detrimental effect on the forest.